Carriacou is an island where you can do everything or you can do nothing but just lay back and chill on the beach with an ice cold Carib (local beer), watching the gentle waves. For visitors who want to explore then activities abound. We have created a list of our favourite tours and excursions to enable you to experience the very best that Carriacou has to offer....but if you want to do something that isn't on our list just let us know and we can arrange it for you. For the second year running we have been awarded the Trip Advisor Certificate of Excellence. We have several reviews on Trip Advisor so you can read what it's all about for yourself. The reviews have been written by recent visitors to Carriacou for whom we arranged the tour. 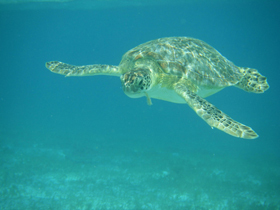 This is our most popular tour - a visit to the Tobago Cays Marine Park, where you can swim and snorkel in the pristine waters with turtles in their natural habitat. For most visitors to Carriacou this is one of the highlights of their vacation. 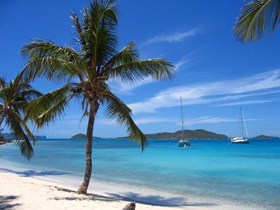 We have several tours to Tobago Cays, depending on your requirements. Contact Simply Carriacou for more details. We offer a half day or full day sailing on a traditionally built Carriacou sloop. You will go where the wind decides to take you, usually to one of the outlying islands where you will get some time to anchor up and explore, swim, snorkel. There will be drinks on board and for the full day, a lunch is provided. Below are some photos taken in the Cays. 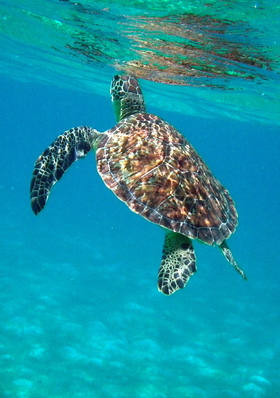 Turtles swimming freely, schools of rainbow coloured fish, iguanas in the trees on the uninhabited islands. It is simply amazing to be there. Tobago Cays was designated a conservation area as early as 1987 and a marine park board was set up 10 years later in 1997. 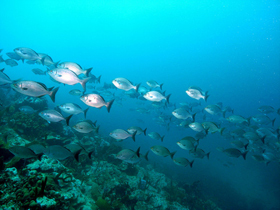 In 1998, the government of St. Vincent and The Grenadines adopted the Marine Park Regulations and formally purchased Tobago Cays from private ownership. In 2006, a new management board and structure was set up and the current park boundaries were established. There are park regulations and fees for vistors which go towards the upkeep of this precious area in The Grenadines.